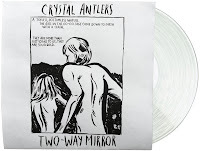 Lots to choose from this week, including plenty of vinyl records releases including Body Language (Social Studies), Lucinda Williams (West), Megadeth (Peace Sells... But Who's Buying: Deluxe Edition), Queensryche (Empire), Yes (Fly From Here), Dead Can Dance (DCD || Box Set )(4-LP box set), Metallica (St Anger and West), George Thorogood & the Destroyers (2120 South Michigan Ave) Dead Kennedys (Mutiny on the Bay), two from Jon Spencer Blues Explosion (Now I Got Worry and Orange), Uriah Heep (Into the Wild) and Quicksilver Messenger Service with Quicksilver Anthology; to name a few. CVR Blog picks are in red, please visit our sponsors! Kid Liberty - Give Up. Give In. R.E.M. 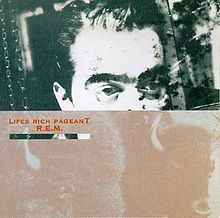 's fourth studio album, Lifes Rich Pageant was recorded by vocalist Michael Stipe, guitarist Peter Buck, bassist Mike Mills, and drummer Bill Berry at John Mellencamp's Belmont Mall Studios in Indiana. Produced by Don Gehman, renowned for producing a string of punchy, soulful heartland-rock albums by Mellencamp, Pageant includes the singles Fall On Me and Superman. The album was R.E.M. 's first to achieve Gold certification status, and it reached #21 on Billboard s Top 200 Albums chart, the band s then-highest chart position. The 2CD lift top box contains the original album digitally remastered. Disc 2 contains "The Athens Demos," 19 previously unreleased tracks recorded by the band before the final studio sessions. Also included is a new poster and postcards. 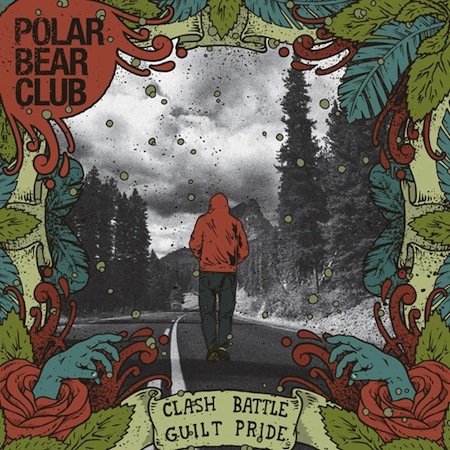 2011 release from the veteran British Heavy Rock band. 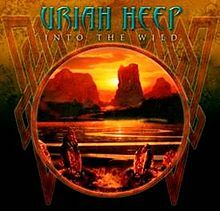 Into the Wild is Uriah Heep's 23rd studio album which follows the completion of the band's 40th Anniversary Tour. The recording started in January 2010 at Liscombe Park Studios in Buckinghamshire, England. The album includes 11 brand new songs, including some epic additions to the band's huge catalog of Rock classics. Uriah Heep debuted in 1970 with the release of one of Hard Rock music's milestones Very 'eavy... Very 'umble and have since sold in excess of 30 million albums worldwide. This will be the veteran rock outfit's first new release since 2001 and is also the first since vocalist Jon Anderson was replaced by Benoit David. 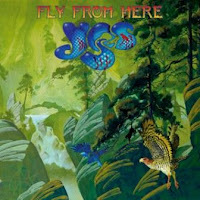 Fly From Here is the band's 20th studio album. The title song (actually, a five-song suite) has been performed in concert since 1980, but this is the first time it has made it onto a Yes album. The album is available on CD, MP3, vinyl LP, and in a CD-LP-DVD box set. Mumbai, July 10 (IANS) This is how your grandparents listened to their music. In this age of itunes, ipods, DVDs and downloadable music, granny’s LP is making a surprising comeback to music stores. They may not be a rage, but LPs – or simply long-playing records on vinyl – have a sizeable fan following in music aficionados, collectors and serious audiophiles. ‘There were two reasons for getting back vinyls — making music available on Saregama across all available platforms and reviving this analog format of music, which still appeals to serious audiophiles and connoisseurs,’ Adarsh Gupta, business head of music company Saregama India Ltd., told IANS. Apart from Saregama, T-series, EMI and Sony Music have also started releasing LPs to bring alive the era of the gramophone. ‘Saregama’s LPs are manufactured in Germany, on 12 inch discs of 180 grams of lacquer. And the audio from the old masters is digitally cleaned and bettered before cutting the LP mother shells. It is a perfect recipe for a wonderful musical session to re-live the glorious past. We are also selling LP players manufactured by Lenco, Netherlands,’ Gupta said. Saregama is primarily releasing old Hindi film soundtracks in this format and also some titles from other genres like Tamil, Bangla and classical music. Sebastian Bach has revealed his cover art for his upcoming album 'Kicking & Screaming." The first single will be the title track and is scheduled to be released mid-August. KICKING & SCREAMING will be released on September 27th via Frontiers Records in North America and September 23rd in Europe and is produced by Bob Marlette (Black Sabbath, Shinedown, Atreyu, Filter). The album will be available in three separate configurations: jewel box CD, deluxe digipak with bonus track and bonus DVD and double LP gatefold vinyl. The recording features young virtuosic guitarist Nick Sterling and drum pro Bobby Jarzombek (Halford, Riot, Iced Earth), as well a guest appearance by noted guitarist John 5 (Marilyn Manson, Rob Zombie) on "TunnelVision". Wurzel, former guitarist for British heavy metal band Motörhead, died on Saturday (July 9) at the age of 61 (reportedly from heart failure). The guitarist, whose real name was Michael Burston, joined the band in 1984 and first appeared on the band’s 1984 No Remorse album. He remained the band’s main guitarist until ‘Sacrifice’ in 1995 when he left after recording the record, but before heading out on the road. Burston gained his nickname during his time in the British army because of his supposed resemblance to the children’s character Worzel Gummidge - a scarecrow with a turnip for a head. Van Halen World Tour to Start in November? The latest in the long-running “what’s going on with Van Halen?” saga suggests the band will release their new album in time for a world tour, which should kick off in November. According to a trusted source close to the band, MelodicRock.com reported the album is still not finished, but a single is in the mixing stage. 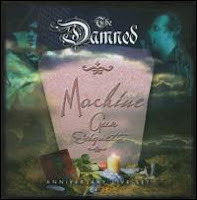 That Metal Show’s Eddie Trunk recently reported a rumor that the single would be released on July 4, but it wasn’t to be. 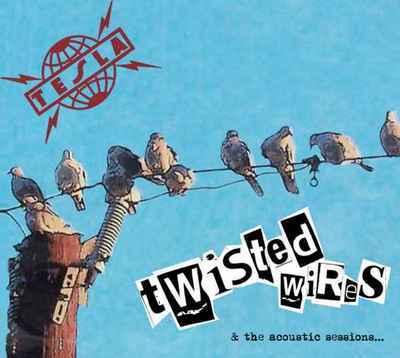 To help celebrate the band's 25th anniversary with their fans, Tesla are releasing 'Twisted Wires and The Acoustic Sessions' on July 12th. (their follow-up to 2008's Forever More). As a salute to their fans, the group will include two new songs. The album will feature 6 tracks that were recorded back in 2005 at bassist Brian Wheat's J STREET RECORDERS studio (which are the last recordings with original member Tommy Skeoch) and 6 newly recorded tracks which include acoustic remakes of songs from their entire catalog and two brand new songs called "Second Street" and "Better Off Without You." The band has sold more than 14 million albums over the past 25 years. Here's the cover art for Polar Bear Club’s upcoming record, ‘Clash Battle Guilt Pride.’ The album will be available on September 13 via Bridge Nine Records. ValCom, Inc. (VLCO.PK) announced today that it has started production on the first of many albums that will be distributed commercially through multiple sources including Universal Music Distribution. The Platters Golden Anniversary album will feature digitally re-mastered cuts of classic Platters songs including Only You, Smoke Gets in Your Eyes, and The Great Pretender. The Album will also feature new, original recordings with Platter's lead singer Sonny Turner and two surprise Top 40 recording artists. The project will be produced by recording industry veterans Joel Wertman, Vince Vellardita, and Tim Harrington. Wertman is credited with discovering multiple music artists including No Doubt, The Goo Goo Dolls, and Bush. Vellardita has over 30 years of experience in the entertainment industry where he has produced and promoted over 200 live events, and Harrington brings years of business and marketing experience as an entrepreneur and venture capitalist. "We've assembled an all-star team of business and creative talent to bring this first Platters album to market," stated Vince Vellardita, President and CEO of ValCom. "We'll be reaching multiple generations of consumers with this project." The Platters last anniversary album sold over 70 million copies, and the group continues to command a worldwide following. The Platters are the number 1 karaoke music group in Asia. The Platters Golden Anniversary is the first of many projects that tap into the vast content in ValCom's audio and video library. ValCom has also recently signed distribution agreements with television networks for some of the library's video content. The second of the releases will be Ike & Tina Turner: The Lost Tapes that will feature rare and long-lost studio recordings of one of the most influential song-writing teams in music history. Producer Tim Harrington commented, "We first heard the Ike and Tina master tapes in an Atlanta recording studio a few months ago. I was amazed at the quality of the recordings. When I heard what Tina's voice sounded like at the beginning of her career, I realized that she is the Beyonce Knowles of her generation." Their First U.S. Tour by the original band in 15 years! New Release «What If… » Out Now! MR. BIG will once again unleash their brand of brutal fury on their first U.S. tour in 15 years starting July 30th, in SanDiego at the 4th & B. Returning fresh from a successful run of tour dates overseas, vocalist Eric Martin, guitarist Paul Gilbert, bassist Billy Sheehan, and drummer Pat Torpey, will be hitting the road in the United States this summer in support of the band’s new album, WHAT IF… "Man, it's been a long time,” states guitarist Paul Gilbert. I can't wait to play our first show in AMERICA in about 15 years. It's gonna be huge!" «What If… » is MR. BIG’s first all original album since the reunion of the four original members, Eric Martin, Paul Gilbert, Billy Sheehan and Pat Torpey back in early 2009. 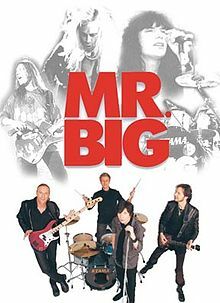 Sixteen years after the release of « Hey Man », the new recording is set to bring back MR. BIG on the height of the current Hard Rock scene. Guitarist Paul Gilbert said: “This is the first MR. BIG album I have been a part of, since fourteen years and it was done in a snap. It was fun and we had really a good time in making this one”. Continues Billy Sheehan “It’s so great to be back with Paul, Eric and Pat too. We wrote this record like we did in the old days for the first 2 records. Jamming together in the same room to write songs”. Pat Torpey adds ““Some of the recording process is different now from what we were used to in the old times. But I think this record really managed to capture the performances of the band, not of the individual musicians”. Their hits included "To Be With You" (Billboard Hot 100 number one single in 15 countries for weeks, in 1991, propelling the band the band to huge international success and record sales in the multi-millions), "Wild World", Green-Tinted sixties Mind", "Just Take My Heart", and a host of heavy metal songs that were played mostly during their live performances: "Daddy, Brother, Lover, Little Boy", "Addicted to that Rush", "Colorado Bulldog", and "Take Cover". “What If…” is released in a special edition CD + DVD in digipak, regular CD, vinyl and digital download and in a limited edition luxury box including the CD, DVD, LP and exclusive memorabilia. “What If…” track-listing includes: Undertow; American Beauty; Stranger In My Life; Nobody Takes the Blame; Still Ain’t Enough for Me; Once Upon a Time; As Far As I Can See; All The Way Up; I Won't Get In My Way; Around The World; I Get The Feeling; Unforgiven (exclusive bonus track for Europe / North America – not on vinyl edition). The DVD will include the video clips of “Undertow” and “All the Way Up” plus a documentary “Making of” the album including interviews and exclusive behind the scenes features of the four members. In other Mr. Big news, the next single from the new album, “American Beauty,” will ship to radio in July in support of the tour. 7. Katy Perry feat. Kanye West :E.T. Dean Martin recorded his first four songs in 1946. In 1951, Alan Freed debuts his Moondog Rock 'n' Roll Party on WJW radio in Cleveland, where he plays mostly R&B tunes. Joan Baez made her first recording in 1959. It was a duet with Bob Gibson which was recorded live at the Newport Folk Festival. 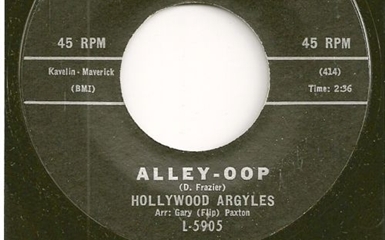 In 1960, the novelty song "Alley-Oop" sat at the top of Billboard's chart, credited to a then fictitious group called The Hollywood Argyles. The song was actually sung by Gary Paxton, who had been the latter half of Skip and Flip and was recorded after he had been advised that he was still under contract to Brent Records. Gary made up the group's name and then had to put a band together when the song became a hit. In the UK, the record reached #24. This was written by the Country songwriter Dallas Frazier, who recorded the song in 1966 and released it on his album Elvira (Columbia 2552). In 1964, the Supremes' "Where Did Our Love Go?" was released and entered the Hot 100. It stayed on the chart for 14 weeks and became the group's first number one hit next August. Kenny Rogers formed The First Edition in 1967. Rogers had left the New Christy Minstrels. In 1969, David Bowie's single, "Space Oddity" was released to coincide with the first lunar landing by Apollo 11 on July 20th. The song would rise to #5 in the UK but would not become a hit in the US until it was re-released in 1973 when it would reach #15. Also in 1969, the Rolling Stones' "Honky Tonk Women" was released. The band started recording the tune as a Country song based on Hank Williams' "Honky Tonk Blues", but found that it made a better Rocker. The Who's "Summertime Blues" was released in 1970. In 1970, Three Dog Night's version of Randy Newman's "Mama Told Me Not To Come" sat at the top of the Billboard Hot 100 and the Cashbox Best Sellers Chart. It was a song that took singer Cory Wells over two years to convince the rest of the band to record. It reached #3 in the UK. Also in 1970, the soundtrack to the 1969 Woodstock concert becomes the first triple-disc album to top the Billboard chart. Neil Young's concert film, "Rust Never Sleeps," debuted at the Bruin Theatre in Westwood, CA in 1979. The album of the same name was released simultaneously. In 1971, Bruce Springsteen opened for Humble Pie at the now demolished Sunshine In at Asbury Park in New Jersey. After the show an impressed Peter Frampton from Humble Pie told Springsteen and the band he'd like to have them open for them on a national basis. Frampton also said he would be happy to get the band an audition with his record label, A & M Records. For no logical reason, Springsteen’s manager Tinker West declined both offers on the spot. In 1981, Hubert Johnson, a member of the Motown group The Contours, committed suicide in Detroit. Johnson was a cousin of Jackie Wilson, who introduced The Contours to Motown head Berry Gordy Jr. The group took their feverish dance tune "Do You Love Me?" to number three on the Billboard Hot 100 in 1962. In 1996, Smashing Pumkins keyboardist Jonathan Melvoin died from a drug overdose in New York City. He was 34. Smashing Pumpkins drummer Jimmy Chamberlin was with Melvoin and tried to revive him but failed. In 2000, Lars Ulrich (Metallica) was the first witness to testify at a U.S. Senate hearing over copyright law issues concerning free sharing of music files on Web sites such as Napster and MP3.com. John Entwistle's funeral was held in Cotswolds, England in 2002. In 2008, The hand-painted drum skin that appeared on the cover of The Beatles' "Sgt. Pepper's Lonely Hearts Club Band" sold for $1.1 million at a Christie's memorabilia sale in London. John Lennon's handwritten lyrics for "Give Peace a Chance" fetched $834,000, well above pre-sale expectations of around $500,000. The great Blind Lemon Jefferson was born in 1893 (died 1929).